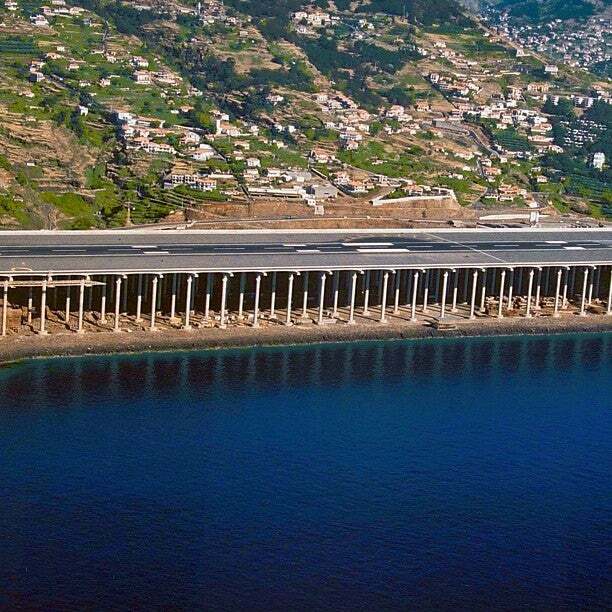 Cristiano Ronaldo International Airport, informally known as Madeira or Funchal Airport, and formerly known as Santa Catarina Airport, is an international airport in Santa Catarina, Santa Cruz. It is 13.2 km (8.2 mi) east northeast of the Cathedral of Funchal, Madeira, Portugal. Aeroporto Da Madeira is major airport located in Funchal, Madeira, Portugal and serves domestic and international flights to 121 different destinations, connecting Funchal, Madeira with Europe and South America. The most popular destinations to fly to from Airport are Lisbon, Porto, Gatwick Airport, Manchester and Amsterdam . The longest flight you can take is to Helsinki (5:45 hours) . Carriers such as SATA International, TAP Portugal and easyJet have regular flights to and from Airport.